Crafters Companion > Blog > Cardmaking essentials for less! One thing that all cardmakers need is a good quality cardstock. Well, we have fifteen different card packs for you to choose between, from mixed packs of dark shades to huge 16″ x 16″ Snow White cardstock! 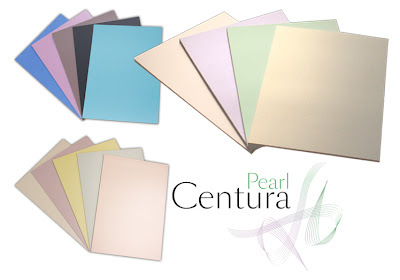 All the card is 300gsm in weight, and has a beautiful Centura Pearl finish. What’s more – they’re affordable too! You will get up to 60 sheets of card (quantities differ between packs) for just £9.99! Even better – you can multibuy any four card packs for just £30, saving you 25%! As part of our Easter celebrations, we’ve also put together a special scoreboards offer, where when you buy the Envelobox Creator and the Boxer board, you will receive the Advanced Construction Techniques DVD for FREE! That’s a saving of 33%! 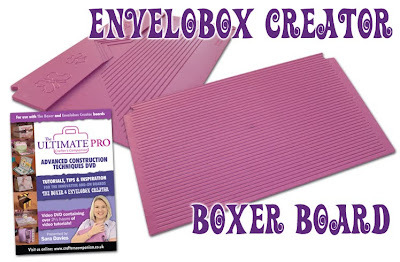 If you’ve not seen them before, the Envelobox Creator allows you to add a fabulous finishing touch to your three-dimensional hand-crafted cards by packaging them in matching envelopes. You can create envelopes up to 8″ x 8″ and up to 1″ deep! The Boxer board makes measuring easy enabling you to create custom size boxes with ease. With measurements up to 8″ in eighth-of-an-inch increments on one side and measurements up to 21cm in half-centimetres on the other, this board can also be used for scoreline measurements in crafting projects! The DVD takes you through the fundamental principles of using the two boards for measuring, scoring and embossing, followed by 12 step-by-step projects. Presented by Sara and running for over 2 and a half hours, this DVD will really begin to stretch your imagination. Both offers are available until midnight on Easter Monday, and don’t forget there’s FREE standard UK delivery all weekend too! To see all our egg-cellent Easter offers, click here.